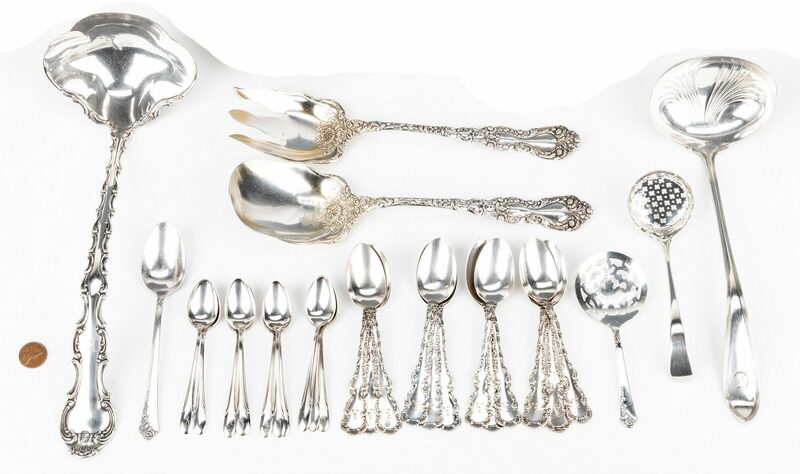 Assembled group of sterling silver flatware including 1 Gorham Strasbourg pattern punch ladle, 12 Gorham Strasbourg pattern 5 o'clock spoons, 1 Frank Smith sterling silver punch ladle, Gorham Imperial Chrysanthemum pattern salad serving set (2 pcs. 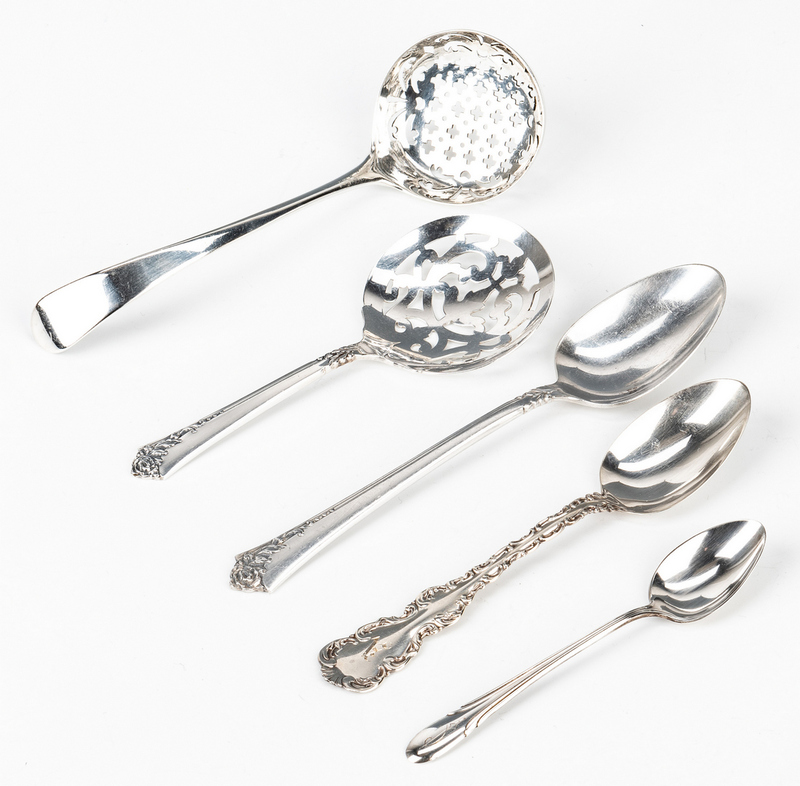 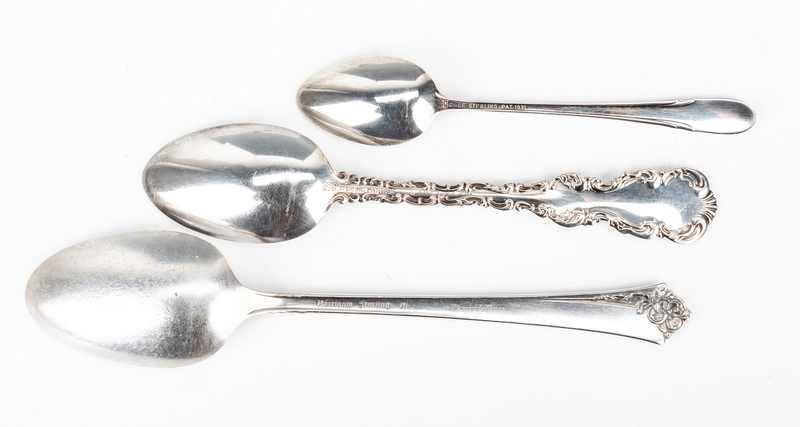 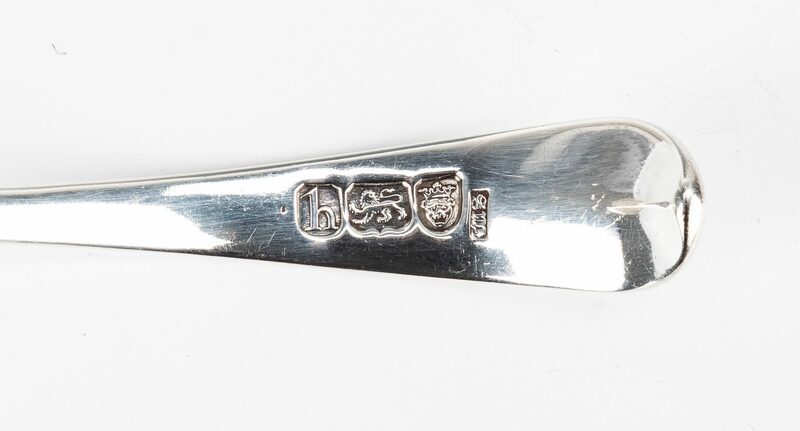 ), 1 Heirloom Sterling Danish Rose pattern berry spoon and 1 teaspoon, 11 Towle Symphony pattern 5 o'clock spoons, and 1 English sugar sifter dated 1783. 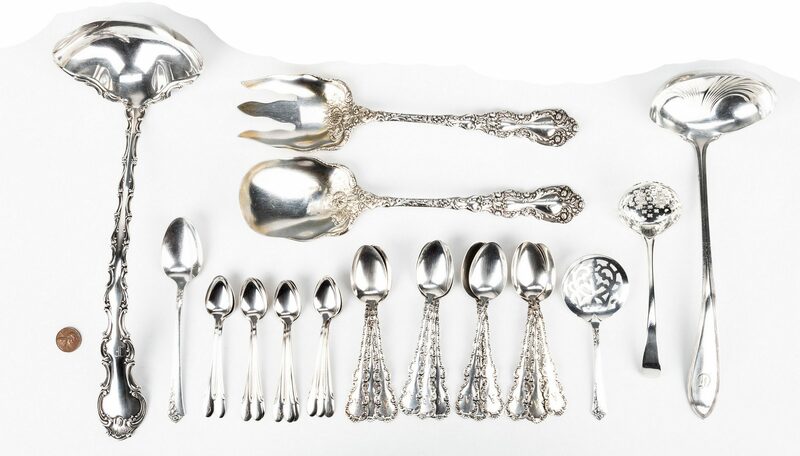 30 total pieces weighting 31.105 troy ounces. 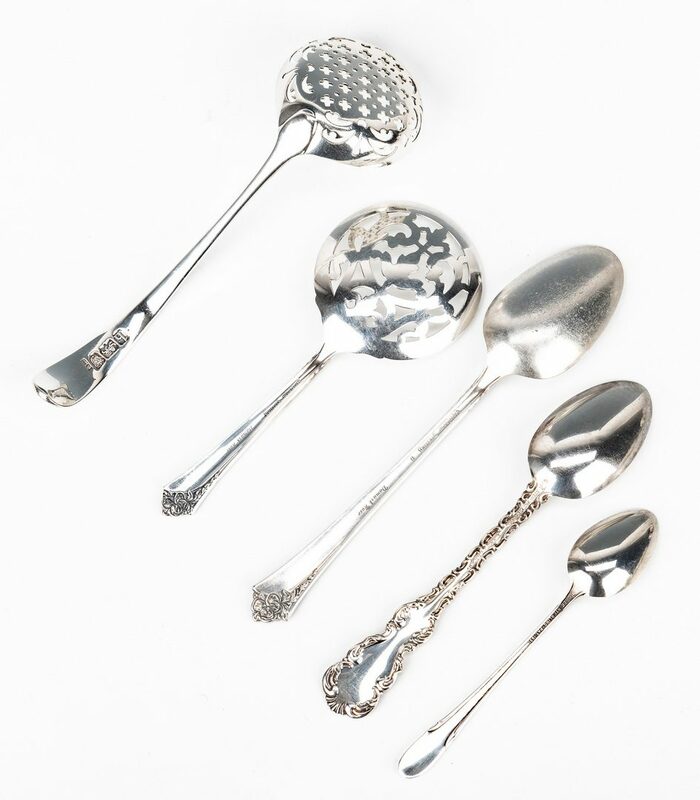 CONDITION: Majority of the pieces are monogrammed, all with general use wear.